Great open concept home while maintaining the plantation feel. As soon as you enter, you are impressed with the wood floors and the open beams in the living room/kitchen. Master bedroom has been enlarged to give you seating room or desk space. The large walk-in closet is rarely found in a plantation era home. An addition to the original home provides the 3rd bedroom and luxury bath. Deck off the kitchen is perfect for dining or just relaxing. 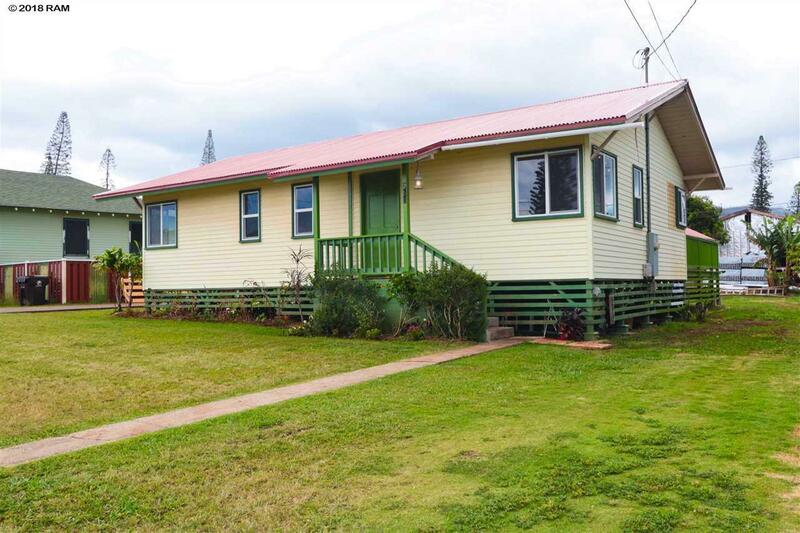 This home is located in a section of town that provides wider streets with gutters, not present in most of the rest of Lanai City. There is ample parking on the property . Separate workshop is a great addition. You must see this home to appreciate all it has to offer.